On my last trip back from visiting my sister in north Georgia the other year, I decided to follow Highway 64 to Brevard. I mainly wanted to photograph some of the many waterfalls in this part of the state. This is very beautiful drive, but be forewarned that there are some dangerous hair pin curves on certain sections. All images © Matt Bennett Photography. Directions: From Franklin North Carolina, you’ll go about 1/2 hour East on US-64. The parking area is located on the right side of the road about 3 miles before you reach Highlands. For more information go to this webpage. 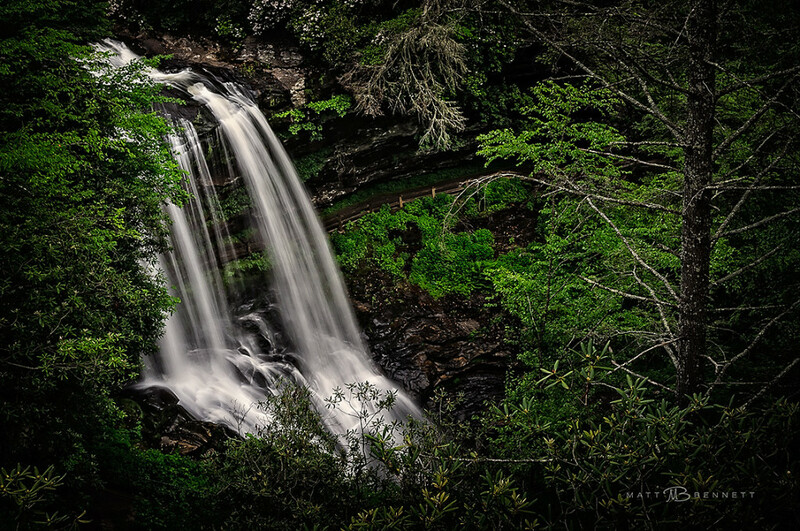 This entry was posted in NC Mountains, North Carolina, Waterfalls and tagged NC Mountains, NC Waterfalls, Waterfalls by Matt Bennett. Bookmark the permalink.